Do I need a plan for my Internet Radio Station this 2016? As the new year gets underway, now is the perfect time to start thinking about what direction you’d like your radio station to take in 2016. It’s easy to get caught up in the day-to-day running of your radio station, especially when you’re a one-man band or a small team with lots of responsibilities. However, to get the best results for your internet radio station, it’s crucial to outline your objectives and formulate a plan for your budget, programming, marketing and more. All successful radio stations have a clear identity and vision. This forms the backbone of your station, and any strategy that comes with it. Think carefully about where you’d like the station to be in a year’s time – or even five year’s time. Would you like to become commercial, gain a loyal following in the local community, or become a voice of authority in a particular niche? With this in mind, you can start formulating clear objectives for the year ahead. Perhaps you could set a target for the number of listeners, followers or call-ins your radio station receives. Maybe you want to set up a website, or start attracting businesses to advertise on your station. These goals will give your team direction, and drive you closer towards your vision. Establishing your vision and objectives will make it easier to determine your programme structure. Do you want your radio station to focus primarily on music, talk features, educational materials or stories? Take a look at your experiences and data from the previous year, to determine how heavily different types of content should feature in your programming mix. When looking at music, what are you going to play this year? Whilst it’s tempting to play a kaleidoscope of different songs to keep listeners of all tastes entertained, most successful internet radio stations eventually carve out a niche or genre to focus on. Taking a look at listener requests will give you a good idea of what your most engaged listeners enjoy. If you’ve got quite a diverse audience, creating a timetable with DJ slots that give different genres airplay at different times of day will allow you to keep variety in your station. When planning out your timetable, you’ll also be able to see whether you need to enlist more help or software to deliver your proposed programme. Improving your radio station could require new resources and additional funding, so if you’ve got big plans in 2016, spend some time working out the finances. Are your plans viable within your existing budget, or will you need to raise additional funds? Advertising, fundraising and donations are all possible sources of income if you don’t have the funds to give yourself. Everyday outgoings soon start to add up too. Set aside a contingency budget for planned and unforeseen expenses, such as replacing equipment. And if your software is due for renewal over the next few months, put aside some funds for renewal. If you think you can get better value for money elsewhere, then this is the time to shop around. After putting time and effort into planning your strategy for 2016, you want to ensure that your hard work pays off! To attract new listeners and engage current ones, outline a digital marketing strategy that will create a buzz about your radio station. If you don’t have a website or social media presence, you may want to consider setting it up to make marketing your radio station simple. 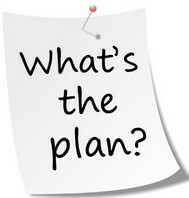 Planning is essential if you want your hard work to pay off when building your internet radio station. The new year is the perfect opportunity to rethink your approach, establish your goals, and identify areas for improvement. Follow these tips to create a robust strategy for success in 2016, and your radio station will go from strength to strength!